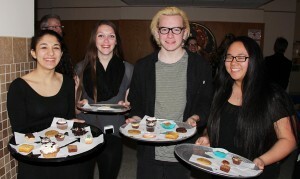 Phoenix high school students Alexa Uttamsingh, Carolanne Switzer, Kevin Borza and Kea Corey prepare to serve confectionery delights to the audience during Musical Desserts. In a cabaret-style setting inside the John C. Birdlebough High School cafeteria, students sang, played instruments and entertained a large crowd. While the audience was listening to musical delights, they were also able to enjoy confectionery delights as student volunteers served desserts to attendees. 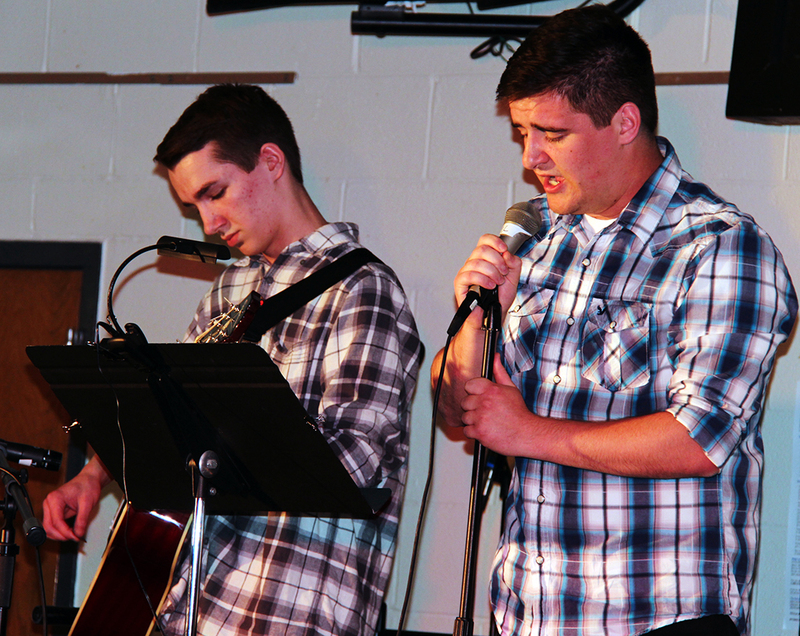 The musical selections ranged from classics to current chart-toppers. Songs such as “Black Swan,” “Wrecking Ball,” Chaminade’s “Concertino,” and “The Lion Sleeps Tonight” were just a few of the diverse numbers that were performed. 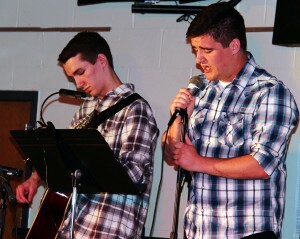 Wyatt Parker and Ben Bulgrien perform their version of “Wrecking Ball” as part of a recent evening of music at Birdlebough High School.